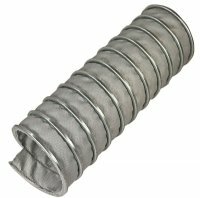 Flexiducting offer a range of specialist high temperature ducting for fume and exhaust extraction where extreme temperatures are involved. 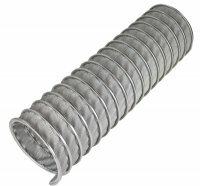 We can supply flexible ducting that can withstand temperatures up to 1100 Deg C and sizes to 1000mm. Silicone Ducting from Flexiducting New Zealand is a flexible lightweight ducting made from 2-ply silicone-coated, glass-fibre fabric with a spring steel helix and is suitable for ducting air at temperatures up to 300 Deg C.
A very flexible high temperature hose for fumes and hot air extraction, made of a fine wire reinforced E-Glass ceramic cloth that is chemically treated and coated. Ideal for high temperature fume extraction. Capable of handling temperatures to 538°C. 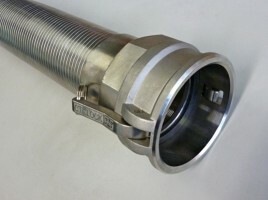 A more robust and flexible two-ply high temperature ducting for fume and exhaust extraction. This ducting has two plies of high temperature resistant coated fabric offers a longer service life and can handle temperatures up to 816°C. 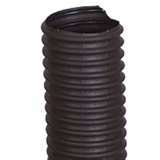 An ultra high temperature ducting that also is robust and durable. 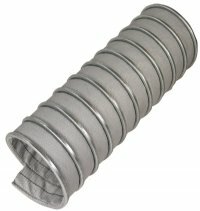 This very flexible three ply ceramic stainless steel reinforced duct is designed for ultra high temperature resistance. With special 3-ply ceramic textile materials for extreme temperatures up to 1000°C.